Treat yourself to a magnificent holiday experience from the moment you leave home with the Emirates First, Business & Economy class sale. 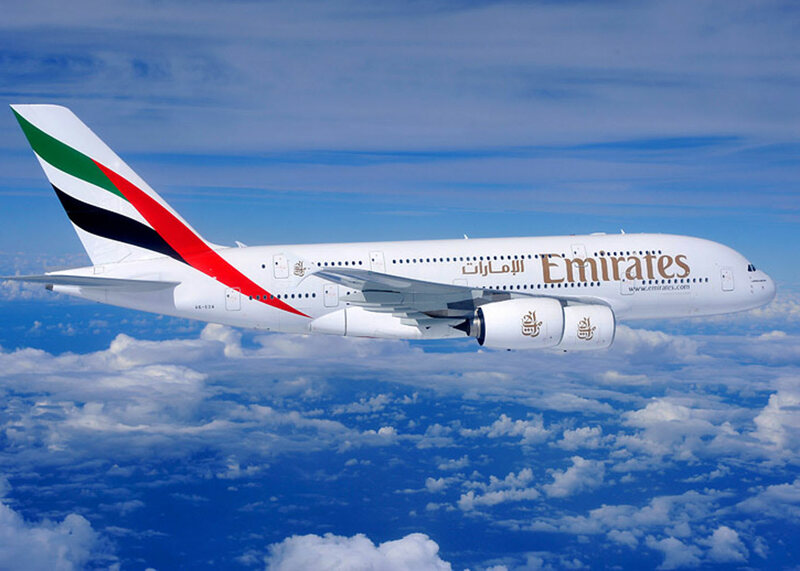 Fly Emirates to Indian Ocean destinations such as The Maldives, Mauritius and Sri Lanka and experience glistening clear waters, stunning scenery and lavish 5 star resorts. Emirates, regularly voted World's Best Airline, treat their passengers to 5 star luxury and a magnificent holiday experience from the moment they leave for the airport whether you fly Economy, Business or First Class.With all flights flying via Dubai, why not stopover and experience everything this Middle Eastern metropolis has to offer? Premium travellers are chauffer driven to the airport before enjoying sumptuous airport lounges, then the ultimate in in-flight luxury on board the Emirates flight. Delicious cuisine, lie-flat beds and luxury amenities ensure you will arrive at your destination refreshed, relaxed and ready to start your adventure. Economy class comes without compromise; an outstanding menu, comfortable seats and seat back TV’s where you can enjoy up to 2000 channels of award-winning entertainment. We've included a range of special offers below, flying from Birmingham, Glasgow, London Gatwick, London Heathrow, Manchester and Newcastle. Call our expert travel consultants who can tailor-make any holiday you wish.